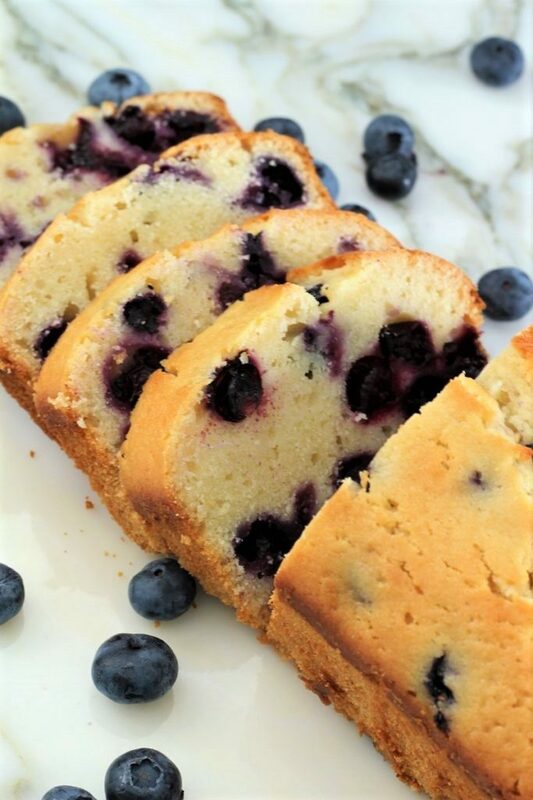 Blueberry lemon bread is a delicious bread; it is nice for get togethers or an after dinner treat. It is time for some recipes with some fresh blueberries. I remember when my friend made this about 6 years ago. I was instantly addicted! It is a yummy flavor with the blueberries and lemons together. 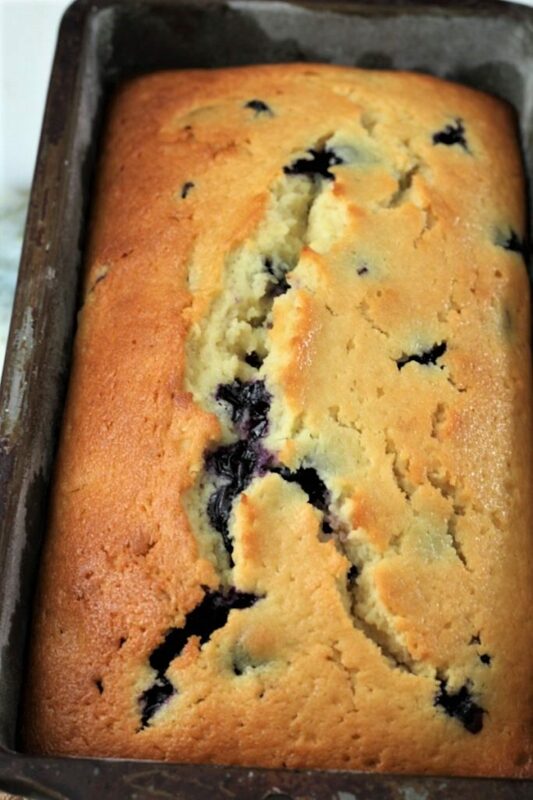 You can put a glaze on top, but sometimes I feel like we have too many sweets, so if you have a slice of bread with blueberries in it, you are eating pretty healthy, more so than if you have some of this delicious blueberry lemon bread with extra sugar on top. Now if you are taking it somewhere special, you just might want to add some glaze made with powdered sugar and some lemon juice. How was your weekend? I hope that it was wonderful. We traveled to Idaho to see my in-laws. It rained the whole time that we were traveling. I was glad that my husband drove on the way there and that my son drove on the way home. It is always nice to go the country, but let me tell you, they live across from a feeding lot where there are about 250 heifers, and it STINKS! Wow, I do not know how they live there? I guess that they just get use to it. Also, my step mother-in-law, she is quite the funny lady. She loves to talk. Sometimes we just have to go hide in the shed, that is just outside their house. She is a sweet lady, don’t get me wrong. My kids will probably go hide in the shed when I get older. Maybe they already do? Last time when my husband went to Idaho, I was not able to go, and she wanted me to give her a perm. So first my husband went in and then my son, and I was bringing up the rear. I heard her say “didn’t you bring Amy”? Isn’t it nice when people love you so much that they are disappointed when you do not come to see them, even if it is just to do their hair. And I must say, she really did look a lot better after I finished doing her hair. It is always a good thing when people look better after you do their hair; that would be bad if they looked worse. Ha ha! Maybe you have had those times when you looked worse after someone got done with your hair, but I sure hope not! I do like to make people look better, and somehow, it makes them feel better. And, I got so see my cute grandson, he is a lot of fun. One nice thing too, was that he wasn’t crying if we held him. My son was building his wife a table out in my father-in-law’s shed and our grandson kept going in the house and then out to the shed. Also there was a mama cat and her cute little kittens, and my grandson thought that they were so awesome. She was a good mama who just sat there with her babies and she didn’t even care if we picked the babies up. Those are some of the things that I miss about the farm, but the smell, not so much. 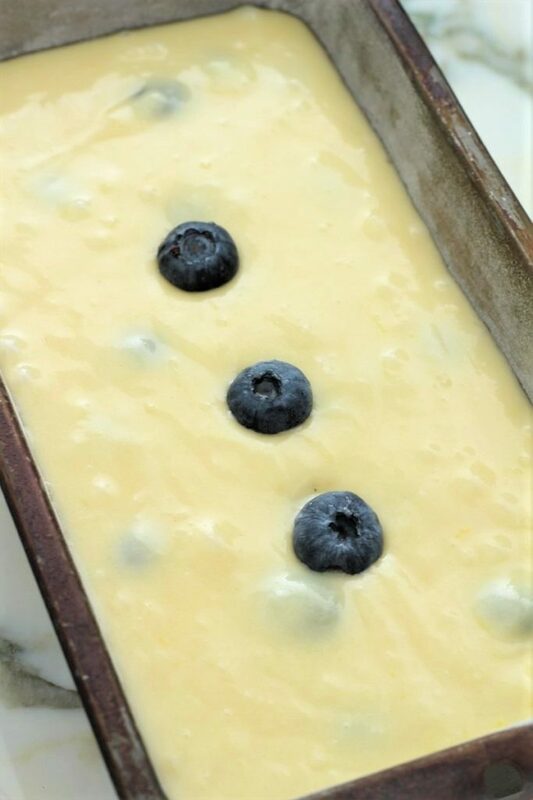 So, I know that you will love the smell of this blueberry lemon bread baking in your oven and you will love the taste even more. I hope that you enjoy it!! In a microwave safe bowl, melt butter and let it cool slightly. Place the butter, sugar, honey, lemon juice and eggs into a mixing bowl and mix well. Add the flour, baking powder, cinnamon, and salt. Mix lightly and add the buttermilk. Place into a loaf pan that has been greased and floured. Bake in a 350 degree oven for 55 - 60 minutes. 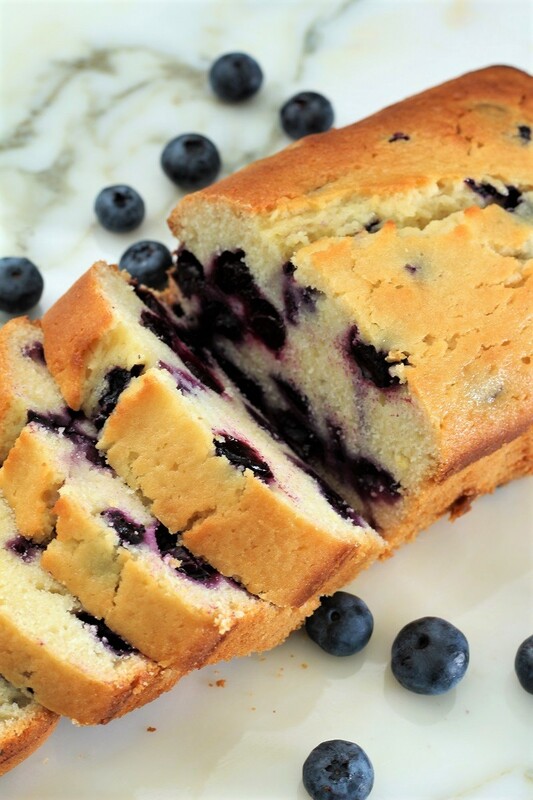 I love anything lemon and blueberry and this looks so moist and delicious! Carlee, it is very moist and delicious! You could put a glaze on top of it and it makes is even better. However, I have been trying to cut back on sugar a little here and there! I hope that you are doing well, and thanks for stopping by! I too really enjoy the taste of lemons and blueberries together! I is very moist and mighty tasty! Thanks so much for stopping by! Thank you Tracy! Thank you for stopping by and I hope you have a wonderful week! I’ve seen your recipe a few times, and finally I am making it today! Everyone in the house is excited for it. Thank you so much for sharing it. I hope that you enjoy it as much as we do. Thank you for coming by and leaving a comment. This bread looks scrumptious!! Pinning to make ASAP. Yummy! Thank you for coming by, pinning, and leaving a comment.